Unlike other ADD/ADHD tests and assessments, this quiz views ADD/ADHD as a neurological type, not a disorder. 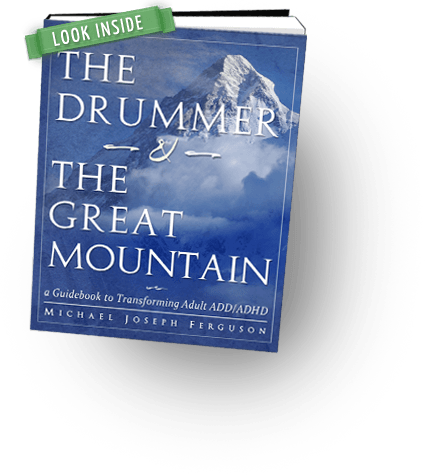 Using Thom Hartmann’s “Hunter-Farmer Theory” as a starting point, it determines if you are a “hunter-type.” Based on your answers, you will be given a score along with the specific topics covered in “The Drummer and the Great Mountain” that could be helpful to you. This is not a medical assessment. Click on all items that describe you, then click the “Submit” button at the bottom. We've compiled a list of tips and support information based on your answers. Would you like us to email it to you? People you know may benefit from this quiz. Share it using the links below. If your quiz assessment does not appear in the next few minutes, be sure to look in your spam/junk email folder.